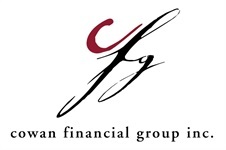 Our Qualifications | Cowan Financial Group, Inc.
Our brokers have over 200 years of combined experience. We have experts in every area of financial services; including investing, insurance, tax planning and complex legacy planning. We are dedicated to developing lasting relationships with all of our clients. We believe in helping you assess your financial goals and participate in the management of your finances. One of the benefits of working with the Cowan Financial Group team, is our ability to provide clear, easily understood explanations of financial products and services. The personalized program that we can provide is a roadmap to working toward a more secure financial future.